Coming off the heels of last week’s reveal of the Nidhogg 2 release date, Messhof Games today released a new trailer for the title. This new video isn’t very long and only lasts about 45 seconds, but it gives you a great look at what to expect from the game. 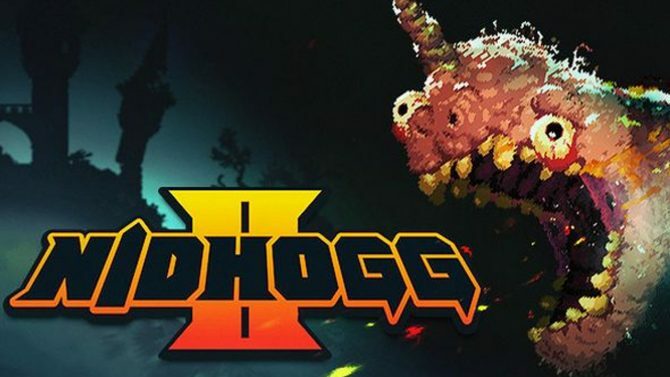 If you aren’t too familiar with the premise of Nidhogg 2, essentially it is a multiplayer game where you face off in 1v1 combat against an opponent with the goal of reaching a far end of the level. However, the player facing you is trying to prevent you from reaching that area, and vice versa. You will utilize swords, bows, fists, and a variety of other weapons to kill your adversary and ensure that you reach your destination. While the premise itself is simple, you’ll quickly find that Nidhogg 2 contains a fair amount of depth within its combat system that will keep you coming back time and time again to master. Plus, if it’s anything like the first Nidhogg, the simple gameplay loop leads to hours of endless screaming matches with you and your friends while playing on your couch. In addition to all of this, Nidhogg 2 is now available for pre-order on PS4 beginning today. If you know that you’ll be picking it up on launch day, you may as well pre-order it now as those who do will be able to get the game for 15% off of its retail price. If you would like to watch today’s quick trailer for yourself, then you can find it at the bottom of the page. Nidhogg 2 releases next month on August 15 PS4, PC, and Mac.